Welcome to a our continuing series focusing on how each of the NHL's thirty teams could improve upon their current center ice designs. 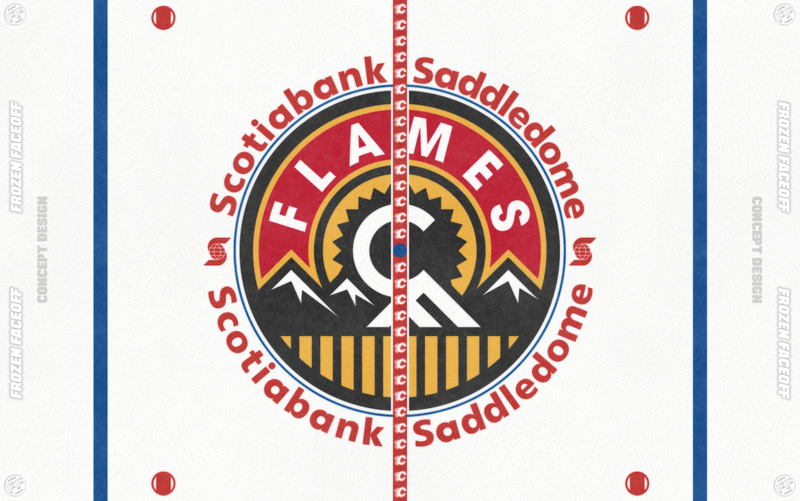 Some teams could use a lot of work and for each team we will post 2-3 ideas for how they might improve their ice. 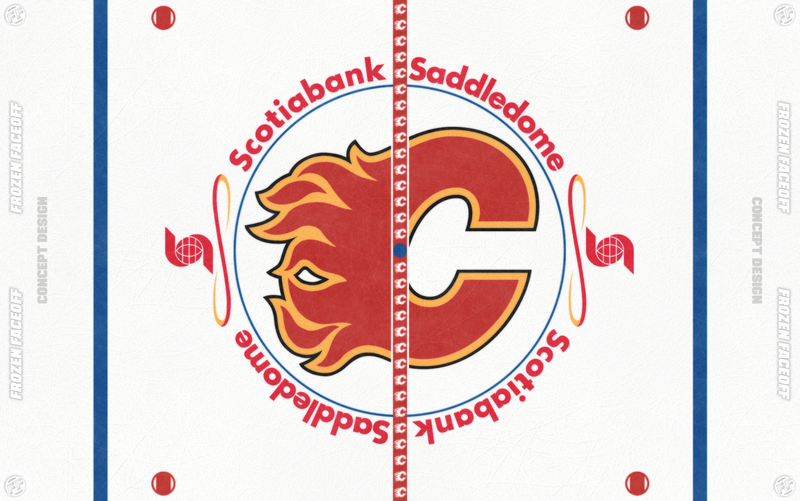 Lets face it though, some teams already have a perfect center ice but to be fair we will still look at some alternate ideas. Please let us know which you prefer in the comments below, or let us know if you think it is perfect as is. Option 1: This might be a bit too much of a change for Flames fans but what if we tried their old logo at center ice? Option 2: If option 1 was too much for you, then you probably wont want to look at this one! Option 3: This one should make you feel more at home. 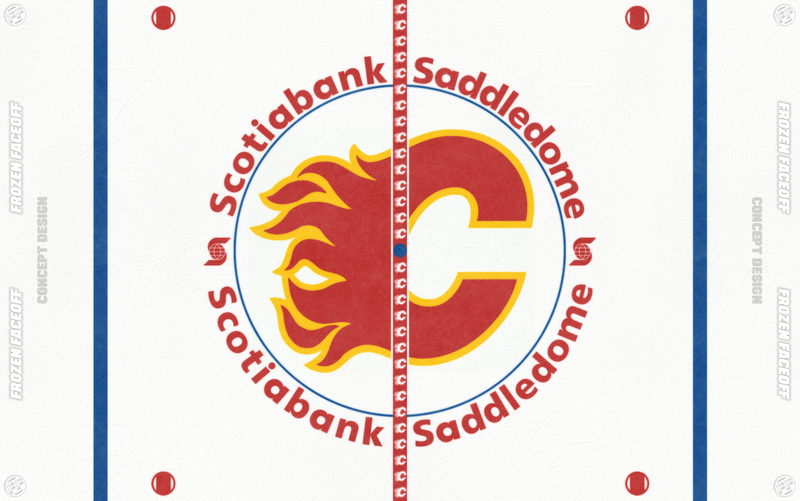 It still has the current logo and red line but it brings back the old arena text layout which I thought looked pretty good at center ice. Option 4: If you don't like any of those choices, perhaps you might have another idea. Or maybe you just prefer to leave it as is.